Amazing Built for SEMA 2015 Jeep Wrangler with just over 2k miles and still has remaining factory warranty!! Just a few of the upgrades include... Kelderman Air Ride suspension, combined with a BDS Long Arm Kit and adjustable track bars.. Go from 3" of lift to 12" of lift at the push of a button, Fox 2.0 Remote reservoir shocks, dual BDS steering stabilizers, and BDS Braided brake lines, Accuair E-Level air management system with wi-fi wireless controls as well! 24x14 Fuel Forged FF07 wheels with 37x13.50R24 Interco M16 tires, Fusion front bumper with 9500 lb winch and synthetic rope, Best top rear bumper and tire carrier, NFab light bar brackets with 2 Promaxx 50" Led lights, HID headlights, red rock lights, and a 20" Single row led light bar. AMP research power boards, Poison Spyder inner fenders, rock cage, Cowl induction hood, 4:88 Yukon gearing, Slotted rotors and upgraded brakes, Custom drivelines, Alpine audio with custom enclosures, speakers, amps, etc. Of course everything painted to match.... MUCH MUCH more to list. 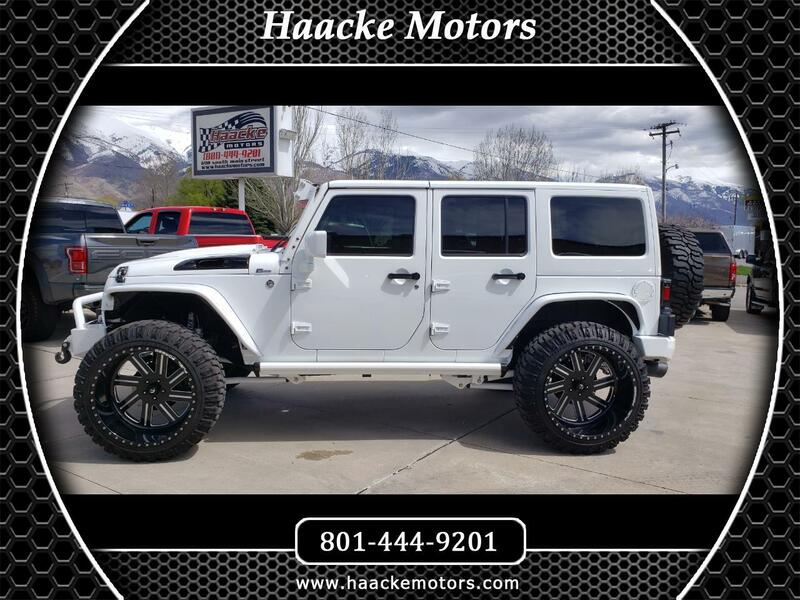 Call with any questions.. See us on our website at www.haackemotors.com AutoTrader.com Cars.com Carsforsale.com KSL.comCargurus.com CarFax Online Listingallcars.com Facebook and Instagram!